A new year, a fresh start. I never make a list of resolutions for the new year, as they will fade away along with the holiday glow. I make a list of goals which is helping me to focus and get things done. But there is nothing like to the start a new year in a cleaner, more organised, and more peaceful home. So lets get organised and make a plan. Start with the entrance: it is the first room we see when entering the house in the evening, it should give us joy to come home. It should be practical: in the morning you don't want to start looking for your keys. A pin board where you can pin some notes, the family agenda, invitations, shopping list, all you need to start your day without stress. Throw out your worn-out shoes, a pile of sneakers. It is difficult to find your shoes when they are stored in boxes? Make a picture of each pair of shoes and put it on the side of the box. Winter shoes together, all those flat ballerinas next to each other, high heels, colours, and maybe you discover a pair you didn't wear for years because you didn't remember where they were. Use a cedar shoe-tree to keep your shoes in perfect shape when you wear them often. Our dressing: let's face it, sometimes we buy clothes that we think we love, or simply think we need and than we never where them. Don't hold on your mistakes, just give them away. You have still a pile of mismatched socks: get rid of them. A trouser which is no longer fitting but you think you will wear again after loosing some kilos: give it away, not to get frustrated. We can learn a lot from Marie Kondo when it comes to organising our dressing. She is the declutter/organising expert in Japan, she will teach you how to declutter, how to choose what you want to keep, not what we want to get rid of. She has a specific order in which you tackle your clutter - category by category. You start with your cloths and the last category you sort are the sentimental belongings. You love to read books, you can't go in a bookstore and come out with empty hands? You have them piling up in the living room, next to your bed? We can get emotionally attached to books and those we should keep, the other ones which are just light reading we should get in the library or give to friends after reading. 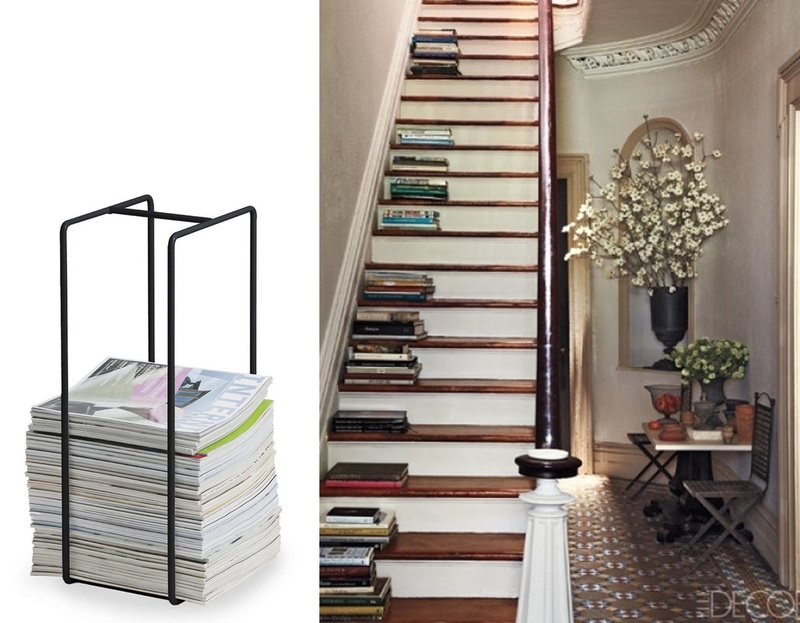 And for those books we keep: arrange them on your shelves, put some nice books on the coffee table, and why not on your staircase. Post cards, wedding invitations, Christmas cards, they can be so beautiful and expensive so you may feel the need to keep them. But unless they hold a significant meaning, throw them in the recycle bin. What about your collection of movies? Some of them you will see more than just once, but for sure there are others you will not consider to see a second time. Make a list, send it to your friends and who wants them can get them. Same for your music collection, get rid of those you don't like no longer. Get some nice boxes for all the things which will still bring you joy. When we face a pile of clutter, our first instinct is to buy boxes and to hide it away. But the first step should be to take an honest look and to see what you need and what you don't need. Than you go through and get rid of any unwanted item. Stuff is just stuff, don't get attached to every little thing. The office room is one of the difficult places to declutter and organise: all those papers, invoices, pens, not to talk about all those cables to charge the computer, phone, IPad...... But the most difficult place is for sure the hobby room: a place where we do that what we love, it is filled with things which makes us happy. And I'm sure we will feel even more happy when all has found its place. So we can just enter the room, take a seat and start without first making space on our table or opening different boxes to find what we need. Safe space by putting things together which belong together. It is not always easy to be organised in the kitchen with all those boxes, bags of muesli, rice, beans, and so on. Invest in buying some containers, all same size, easy to put one on top of the other and in one glance you know what you have to add on your shopping list. Specially in the kitchen, as well in the bathroom drawers can be messy. 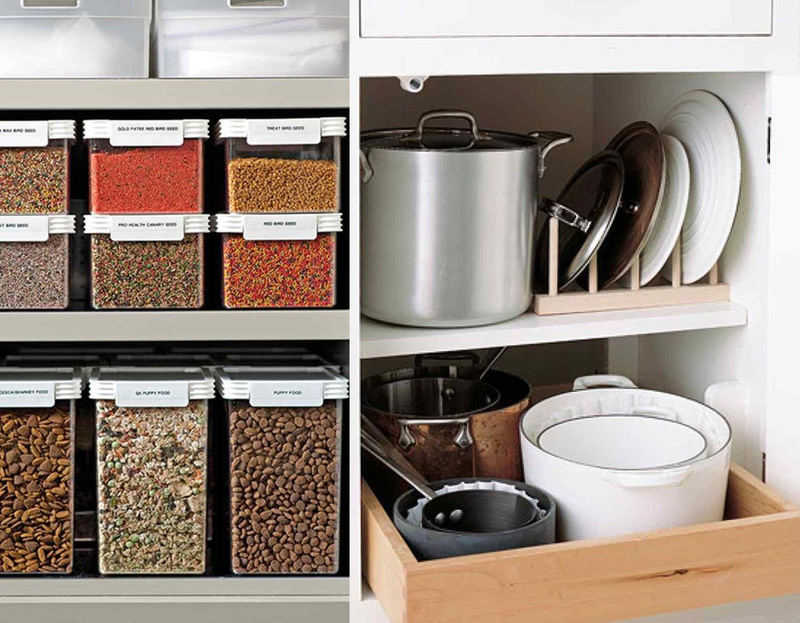 Use special dividers for drawers to separate the spoons from the knifes or the forks. 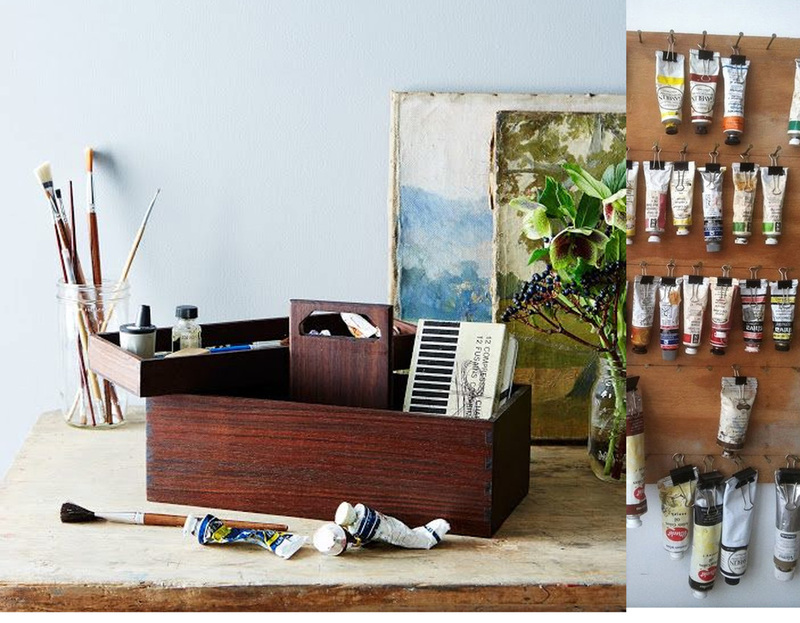 Or you can have small boxes in which you can put similar items together and put them next to each other in the drawer. I like a clean and well organised bathroom, a space to relax, also for the eye. Take off the labels from your bottles or put all your different soaps, shower gels, lotions in similar bottles. You can buy your product in a bigger quantity: it will be cheaper and you won't throw so much plastic away. At the same time you are thinking of your budget and of the environment. Give everything a place and keep everything in its place. 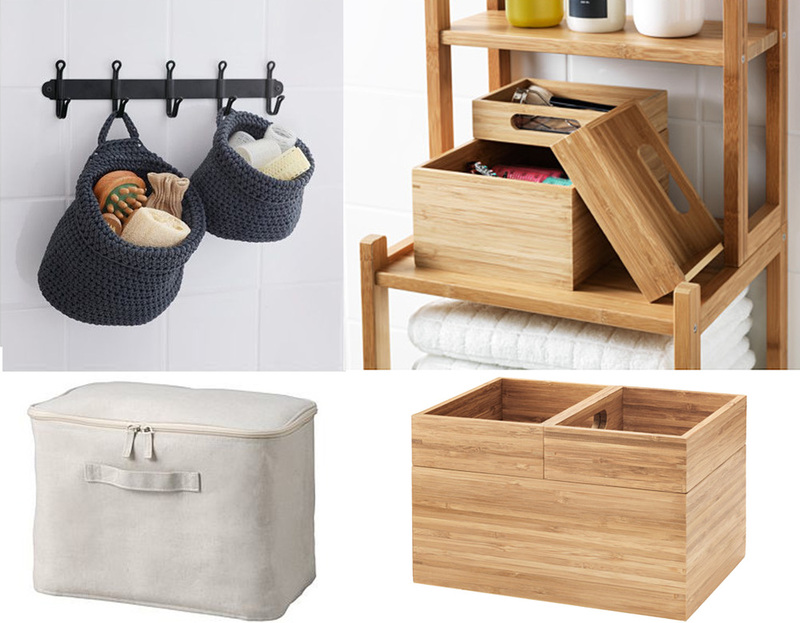 Specially in the bathroom we have a lot of small things, organise them in wooden boxes. Fabric or crochet baskets are also easy to clean, just wash them in the washing machine. 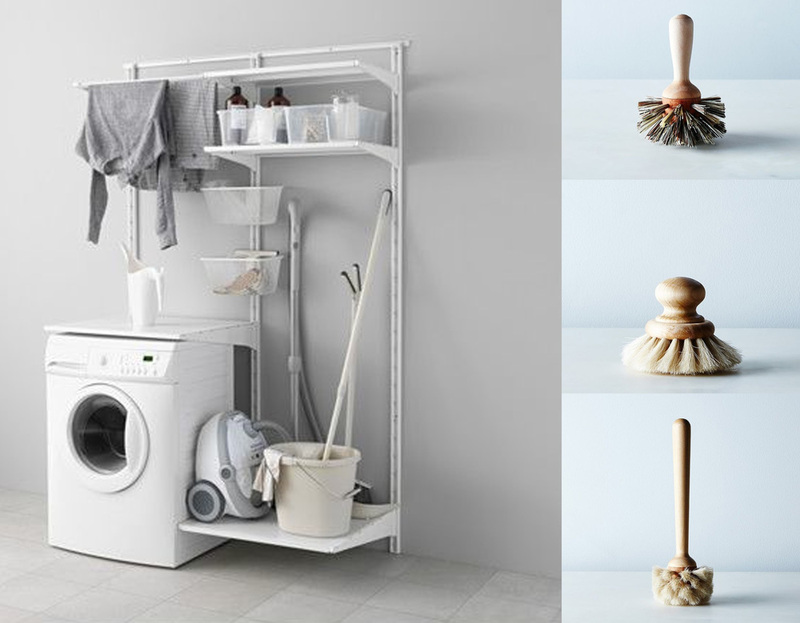 Think also of your laundry room, your cleaning products, get some nice and natural brushes. Make it easy and a pleasure to maintain your home. When everything has found is place, everything is well stored in boxes, you will be able to clean the house in less time. And by using ecological products you don't think just of nature but is also much better for your hands, for the air in your house. Cleaning may not be so much fun as decorating the house, but with the right tools, cleaning your home feels less like work. Get motivated. Approach it from a positive viewpoint. When it feels overwhelming, remind yourself that the goal is to increase happiness. Eliminating clutter can lower your stress level, save time and help you to appreciate what you have. Discard, then organise. First get rid of everything you don't need, then organise. Choose what you want to keep, not what you want to get rid of. Keep only what sparks joy. Give away the things you don't use, somebody will love them. You can sell some of your valuable things which you don't use. And last but not least: when in doubt, throw it out. Stop holding on to things that you might use someday and let them go. It can sound strange but eliminating some of your possessions can bring you more happiness. Wish you a wonderful 2016.